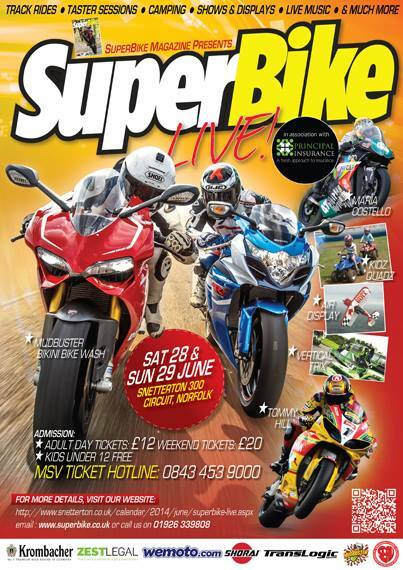 Last chance to get advanced ticket savings for SuperBike Live! If you still haven’t booked your place at SuperBike Live yet then your time is running out to secure savings by booking in advance – advanced ticket sales end at midday on Wednesday 25th June. If you’re planning on staying with us for the entire weekend then camping is only available via advanced booking. If you’re only able to make it on the Saturday or Sunday then save £3 on the gate price by booking below.